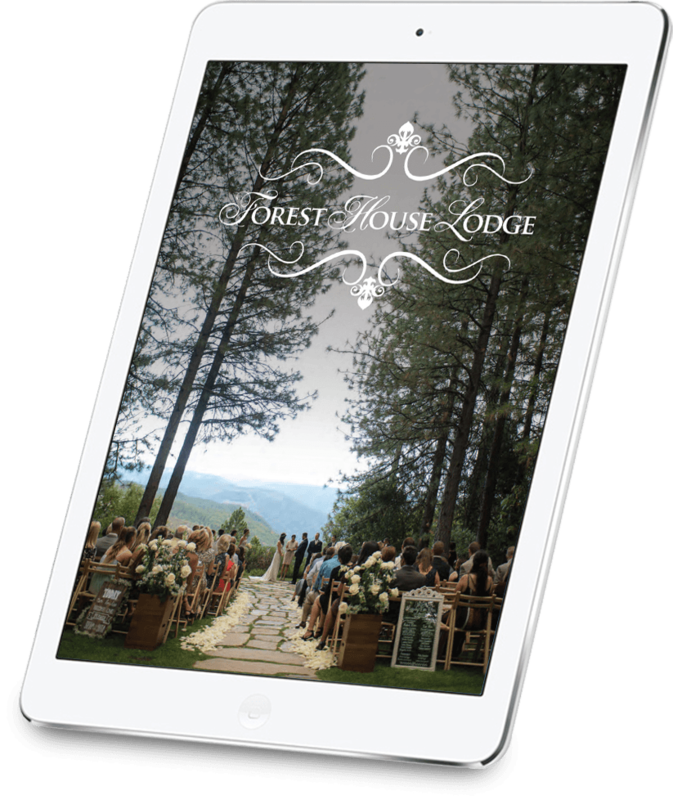 The Forest House Lodge in response to the changing times and the needs of the modern Bride and Groom, has developed a system of “complete event pre-production” in order to supply you, your family and your celebration with a stress-free, pre-planned environment. Our first step in this stress-free process is the Consultation. Being more than just a tour, this is the time to create the beginning of your custom Forest House experience by sharing the integral ideas that have come to shape the “perfect vision” of your wedding. Your consultation is given by a Forest House Experience Manager whose primary aim and focus is to answer each and every question about our unique wedding systems as well as general industry information and supply you with all the tools needed to make sound informed decisions. Our goal is that the incredible experience that is your wedding actually begins with your first visit to us, not a year later. We look forward to meeting you and to discussing your “perfect vision” with you soon!